NEF Consulting’s clients operate in a range of sectors and regions, and so do we. Samra Mariam was recently in Rwanda to conduct a forward-looking cost-benefit analysis of the potential benefits of investing in better weather and climate information. Severe weather events are a danger to communities and economies the world over, especially in countries which are heavily reliant on agriculture. This is the case in Rwanda, where agriculture accounts for 80% of the workforce and nearly 50% of all income earned. 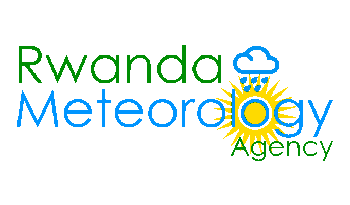 With this in mind, Rwanda’s Meteorology Agency (Meteo Rwanda) is currently undertaking a three‐year project to improve the quality and accessibility of weather and climate information in Rwanda, with support from the Met Office, the UK’s national meteorological service. The project aims to improve the range of weather and climate information available in Rwanda and to promote greater understanding and application of this information among service users. This will be achieved by involving users in the development of services; making investments in improved observations, forecasting and analysis; and introducing new communications channels. 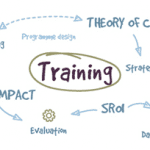 NEF Consulting came on board in the early stage of project delivery to conduct a forecastive cost-benefit analysis which looked at the potential benefits of these improvements in weather and climate services. In particular, the analysis focused on impacts associated with two types of severe weather events in Rwanda: droughts and landslides. One of the key potential benefits coming out of this analysis was avoided crop losses for farmers. By adopting better crop management practices, thanks to improved access to better daily and seasonal forecasts, farmers could potentially avoid some of the negative impacts of severe weather events such as drought. The analysis shows there’s a strong possibility that improving both access to and quality of weather and climate information could help protect livelihoods in this nationally important industry, vulnerable to severe weather events, while also boosting food security for the people reliant on its produce. Despite strong potential benefits for the agricultural sector, it is through improving Rwanda’s response to the risk of landslides that the greatest potential benefit of this investment lies. The ability to prevent economic damage through infrastructure loss is limited and often an unavoidable cost of severe weather events. However, the appropriate provision of weather information, such as accurate early warnings, has the potential to contribute to safer evacuations and therefore prevention of death for people in areas vulnerable to such events (e.g. landslides). The analysis found that for every 1 RWF (Rwandan Franc) that the project invests in improving Meteo Rwanda’s services, at least 4.1 RWF worth of value is potentially created. The findings suggest the project has the potential to be a valuable investment for Rwanda. The potential social and economic value created far exceeds its costs, even when considering only the two severe weather events included in the scope of this analysis.